Rail, the proper name of the rallinoe, a subfamily of wading birds of the family rallidoe. The genus rallus (Linn.) is characterized by a bill longer than the head, nearly straight and slender, with the culmen a little curved, and tip obtuse and slightly notched; nostrils in a membranous groove which extends for two thirds of the bill; wings short, with the second and third quills equal and longest; tail short and rounded; tarsi shorter than the middle toe, covered with transverse scales; toes long and slender, free at the base, the hind one short; claws short and sharp; forehead, as in all the subfamily, feathered to base of bill, the culmen parting the frontal feathers for a short distance and in an angle. There are about 20 species, found in all the temperate parts of the globe, resembling each other in habits and much alike in plumage; they inhabit marshes and borders of rivers, among reeds and aquatic plants, which their long toes, sharp claws, and compressed bodies enable them to climb and run over or between with great facility; the flight is awkward and slow, with the legs hanging down, and for short distances only except during migration; they are good swimmers and divers, and very rapid runners. Their food consists of worms, slugs, crustaceans, tadpoles, insects, and leaves and seeds of water plants; the nest is made of coarse grasses, and placed in retired marshes, and the eggs are 10 to 12. They are very generally called marsh hens, as they resemble domestic fowls in their manner of carrying the head, in some of their habits, and in their cackling notes. The largest of the North American rails, and one of the handsomest of the genus, is the red-breasted rail or the fresh-water marsh hen (R. elegans, Aud. ); it is about 18 in. long, the bill 3, and 24 in alar extent, with a weight of about 1 1/2 lb. ; the color above is olive brown, with longitudinal stripes of brownish black, especially on the back; throat and lower lid white; neck before and breast rufous chestnut; sides, lower parts, and under tail coverts with transverse bands of brownish black and white; upper wing coverts reddish chestnut, the under black with white lines. It is found in the middle and southern states on the Atlantic coast, probably extending across to the Pacific, and chiefly on the margin of fresh waters; it begins to breed in the southern states about the middle of April in its favorite marshes; the young leave the nest as soon as born. The females are like the males, but smaller; they do not take to the water willingly, and are rather poor divers; the flesh is good, especially in autumn, and their eggs are said to be delicious. The clapper rail or salt-water marsh hen (R. crepitans, Gmel.) is about 14 in. long, with an alar extent of 20; the adult plumage is considerably like that of the last species, but the upper parts have a light ashy olive tint, and the neck and breast are more yellowish. It is abundant from New Jersey to Florida, extending also to South America, and is rarely found far from the sea; the nest is deep and funnel-shaped, made of marsh plants and fastened to reeds above the ordinary high tide level; incubation lasts 14 days; the eggs are collected by hundreds in New Jersey toward the end of spring. 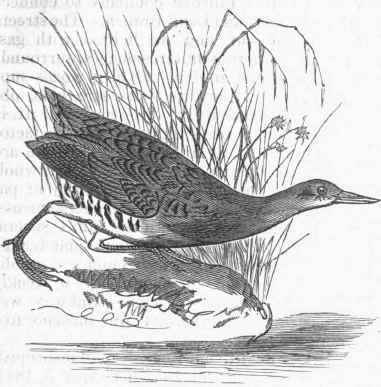 It is not a rapid swimmer, but is a good diver, and a very swift runner either on the ground or on floating weeds; its flight is slow and generally straight; though esteemed as food, other species are more sought after, especially the sora, in the middle states. The Virginia rail (R. Virginianus, Linn.) is about 10 in. long, with an alar extent of 14; it is like the others in form, and resembles R. elegans in color, hardly differing from it except in size. It is found throughout the temperate regions of North America from the Atlantic to the Pacific, most abundantly along the margins of rivers and bays on the Atlantic, migrating south in autumn; it is a very rapid runner and good swimmer, feeding both on salt marshes and fresh meadows by day and night. It breeds from the beginning of March to the middle of June, according to latitude; like the other species it is a good ventriloquist, and seems often to be far off when close at hand; the flesh is good eating in autumn and winter. The European water rail (R. aquaticus, Linn.) is fulvous brown spotted with black above, bluish ash below, and barred black and white on the sides. The habits are the same as in other species; the flesh is esteemed, though having rather a marshy flavor. - The genus ortygometra (Linn.) 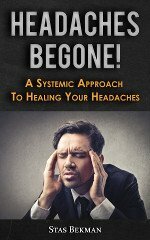 has been subdivided into porzana (Vieill.) and crex (Bechst.). In porzana the bill is shorter than the head, the primaries longer than the tertiaries, the tail short, and the legs robust; there are about 20 species in the temperate regions of the globe, with habits similar to those of rallus. Among the North American species is the Carolina or sora rail (P. Carolina, Cab. ), so well known and so abundant as to be called "the rail" in the middle states; the length is about 9 in. and the alar extent 14; the color is greenish brown above, with longitudinal lines of black; behind the eyes, sides of neck, and breast bluish ashy, with round white spots on the latter; middle of abdomen white. It occurs throughout temperate North America on both shores, migrating southward in winter; it is rarely seen east of New York; in autumn it is abundant in the rice fields and fresh-water marshes of South Carolina. It is semi-nocturnal; when migrating the flight is low and in compact flocks; instinct teaches them the last moment at which they can remain in autumn, all migrating in a single day or night, whence the once prevalent idea that they dived under the mud to pass the winter. The little black rail (P. Jamaicensis, Cab.) is about 6 in. long, the smallest of the North American species of the family; the head and lower parts are slate-colored, nearly black on the top of the head; abdomen banded with white; upper parts brownish black with white stripes, and reddish chestnut on the upper back; the young are wholly bluish black. It is rare on the continent, but more abundant in the West Indies; it is highly prized by collectors. The yellow-breasted rail (P. Noveboracemis, Cab.) is about 7 in. long and 13 in alar extent; the color is ochre-yellow above, with brownish black and white stripes; neck and breast tinged with reddish, middle of abdomen white, sides banded with reddish brown and white; under tail coverts rufous, white-spotted, and under wing coverts white. 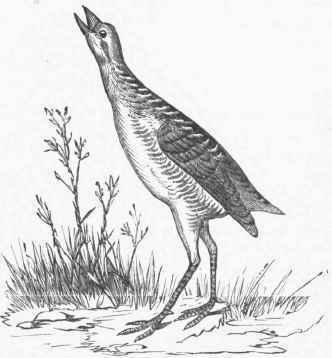 It is found, though not abundantly, in damp meadows in the eastern and southern states; it approaches in habit the corn crake and in some respects the European quail, and was regarded by Audubon as one of the connecting links between land and water birds; the flesh is delicate. - In the genus crex (Bechst.) the bill is conical, shorter than the head, and the appearance and habits are like those of gallinaceous birds. (See Crake). Fresh-water Marsh Hen (Rallus elegans).